Designed by Hunters for Hunters! 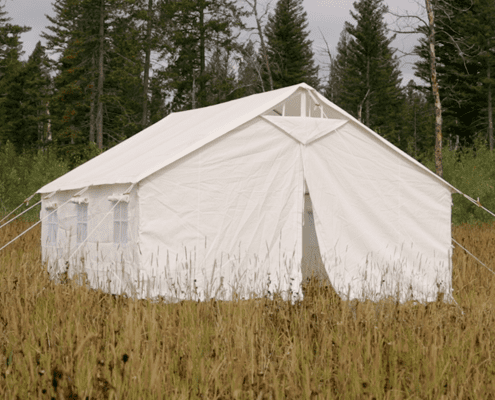 Why a Canvas Tent from Elk Mountain Tents? If you are looking for a light-weight, durable, true four season canvas tent for camping, or perhaps a high quality hunting tent with a stove, or the perfect outfitter tent, then an Elk Mountain Tent is the right choice for you. We offer more standard features than anyone else on the market. Beat canvas tents Amazon prices! Our mission was to design a wall tent with a high quality material at a reasonable price. We believe ours are the best canvas tents on the market, boasting significantly higher break and tear strengths over traditional cotton canvas. Our base model has everything you need: multiple windows, stove jacks, zippered screened doors, and interior pole straps are just the beginning. View a complete list of all our canvas tent features. Our customers are constantly raving about our canvas tents. Check out what they have to say on our Reviews page, on Amazon, and on Facebook. Simply put, our prices can’t be beat, especially when you consider all of the features that are included at no additional cost. Our price comparison chart shows how Elk Mountain’s outfitter tents stacks up against the rest. We pride ourselves on getting your tent delivered fast. Because there is no need for custom orders, most canvas tents for sale will arrive at your door within 4 business days. 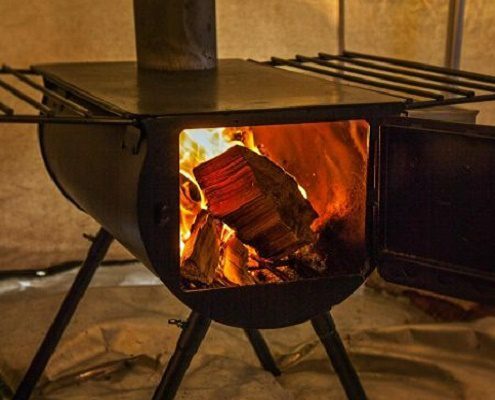 We’d like to see another canvas tent company top that! 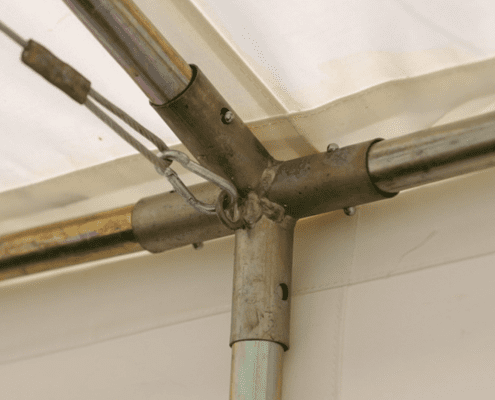 Elk Mountain Tents are warranted against defects of materials and workmanship for one year. Read the warranty. This is the BEST tent because. The price can’t be beat. You don’t have to throw a water proof tarp over this tent when it rains. Great ventilation with six windows, which would cost plenty with all other tents! The tent stakes are really beefy. It fits in the bag its sold in! And if you live locally, he has great hours. 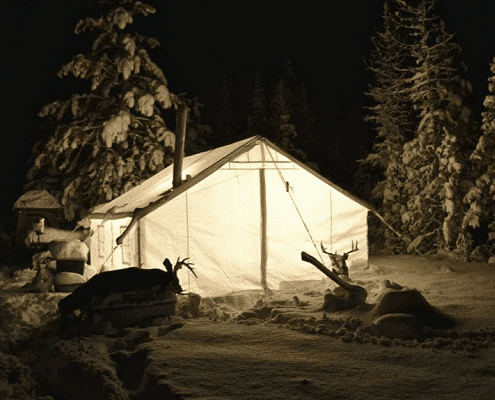 In my opinion – this is the best canvas tent on the market – Elk Mountian has exceeded my expectations in every way. I love the weight, the durability, and the variety of accessories available. I purchased a 13×20 in December 2014 and am very happy with this tent. Plenty of room for my family of 5. The material these tent s are made of is a significant improvement over traditional cotton canvas, very waterproof, very tough(went through heavy wet snow and 50 mph winds with no issues). The material is also quite a bit lighter than traditional canvas. All the Windows and peak vent s are really nice when summer camping. Customer service couldn’t have been better, Justin was really good to do business with. Last fall, when I was shopping around for a wall tent, the the guys at Elk Mountain Tents made it an easy choice. My tent showed up on my door step right on time and it couldn’t have been easier to figure out and set up. This tent made my first self guided western hunt a truly comfortable experience that I know will not be my last. It’s everything the web site says and more. I would definitely recommend a tent from Elk Mountain to anybody that is looking for a light weight durable and affordable wall tent and can’t wait to see what they come up with next to add to my hunting setup. Keep up on all things related to Elk Mountain Tents! Check out the customer photos we’ve received! See all of our photos and the photos of others we can’t get enough of! Got an Amazon gift card? Our 13×16 and 13×20 are available through Amazon as well! Stay tuned and receive alerts when there’s a flash sale! Subscribe and see our new videos as soon as they come out! Find all of our photos in one easy to access easy to download place! Got eBay credit? Our five most popular items are on eBay too!